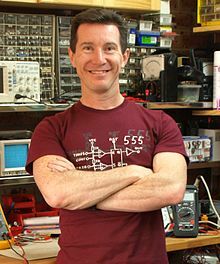 This week I was invited by Chris Gammell for an interview on the TheAmpHour.com show. In the interview, we talked about my experience in the fuel delivery industry and how I got to where I am today. Being on the show, was a great chance to talk about manufacturing in the UK and expose their listeners to the world of ATEX. You can listen to episode that I’m in by following this link to episode #266.
Who and What is the Amp hour podcast? 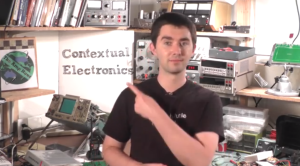 The Amp Hour is a weekly podcast for electronics hobbyists and professional engineers which is hosted by Chris Gammell from Contextual Electronics and Dave Jones from the EEVBlog. The Amp hour is an hour long(~ish), unrehearsed show that covers anything from open-source projects to the latest news from the electronics industry. One of the great things about the show is that Chris and Dave are usually joined by guest speakers that have a wide range of backgrounds. Having guest speakers on the show is a great way to allow the Amp Hour listeners to hear about industries that they wouldn’t normally get exposed to. To mention a few, here is a list of guests that have been on the Amp Hour show. To see the full list of guest that have been on the show follow this link.